Everyone needs a fresh start these days. Economic times have changed, and if you are a casualty of the recession, GM has a new program just for you. Even if you have a foreclosure on your home, GM has a program that allows people who are finding themselves struggling with low credit scores to get competitive rates. Rates as low as 3.9% APR*. Qualifying vehicles include the new Chevrolet Malibu, Cruze, Sonic, Camaro and Silverado. Minimum of $2000 a month verifiable income ( no temp jobs ). * Call us at (877) 888-0903 and ask about our GM Fresh Start Program. The current economic situation shouldn't get in the way of you getting a car but some of the banks and big credit unions won't give you the loan you need if they see even a bit of bad history. At the Jones Chevrolet finance department serving the Columbia and Sumter, SC areas does their best to get you a car loan even if you have a bad credit history. We'll do everything we can to see you drive off our lot in a car that's going to change your life. For some of those other dealers a bad credit car loan is like a unicorn or a leprechaun. They don't think it exists. At Jones Chevrolet a bad credit car loan can be a reality. We aren't like some of those other dealers that see you as a big sack with a dollar sign on it the moment you walk in. We know that buying a car is a big purchase especially when you need a little help getting started. A bad credit car loan from us is designed to help you out when you need it and not bog you down with payments you can't afford. Some of those other places will offer you bad credit financing with huge interest payments and balloon payments that could put you right back where you started. At Jones Chevrolet we'll not only make sure you get a bad credit car loan on a car you need but we'll do it without weighing you down with high interest and sneaking in huge payments. We want to make getting a new car loan easier, not add to your stress. Our auto finance department will work with you to get something you are comfortable with and a payment plan that won't have you scrambling to get it paid every month. 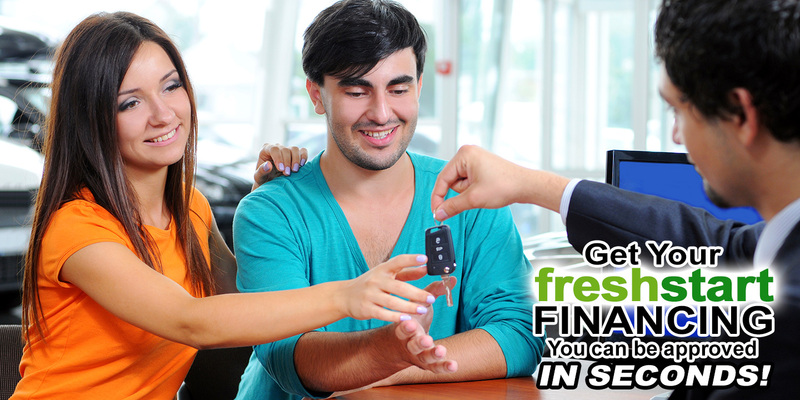 You won't find a more stress free bad credit auto loan in the area. Getting a bad credit auto loan is a nerve wracking experience. Other dealers make getting a car loan a circus tent of hoops to jump through but we want to make it easy and take the stress out of it. Here, we believe auto financing shouldn't be any harder that it has to be. Getting a bad credit car loan doesn't have to be a long drawn out process. A great new car that will change your life can be yours sooner than you think. All you have to do is fill out our finance application and get in touch with someone from our finance department today and they'll do everything they can to help you get into the car you've been dreaming about. Stop in today to talk about how our finance managers at Jones Chevrolet featuring GM financing serving the upstate area can get you a bad credit car loan and get you up and on the road today.